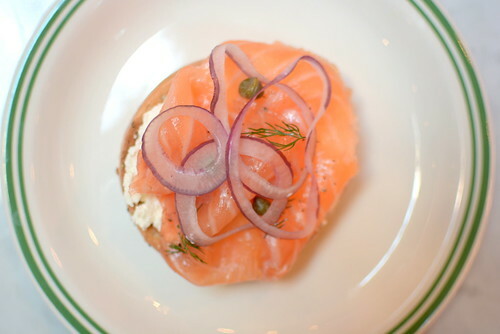 My trip to New York City coincided with Rosh Hashanah, which meant that my brother’s apartment was chock full of bagels, smoked fish, and bear claws, all of which were sourced from Sadelle’s. An ambitious new-school Jewish deli from the folks at Major Food Group, Sadelle’s opened a few days prior to my arrival, and my bro and sister-in-law were early adopters. 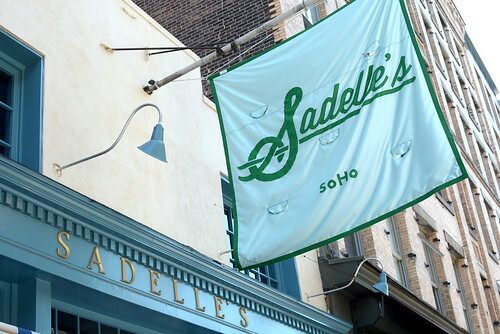 Since I liked what I tasted, and I’ve yet to meet a Jewish deli that I didn’t love, The Astronomer, June and I made our way to Sadelle’s for lunch during our stay. 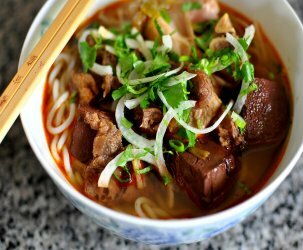 The wait for a table bordered on tortuously long, but that’s par for the course when it comes to dining at a hotly anticipated restaurant during its first few days of business. 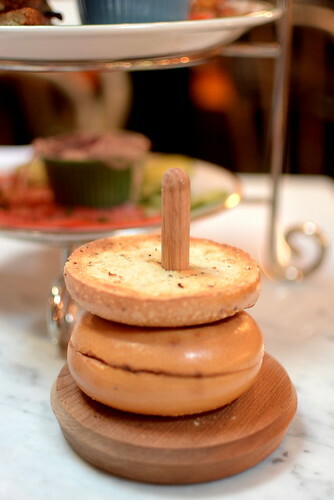 According to the New York Times, Sadelle’s was first imaged as a bakery for Melissa Weller, a pastry chef who experimented with bagels while working at Per Se. 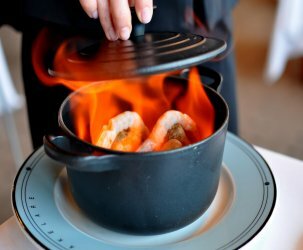 The menu has since evolved to include all manner of traditional Jewish appetizing during the day and caviar service at night. 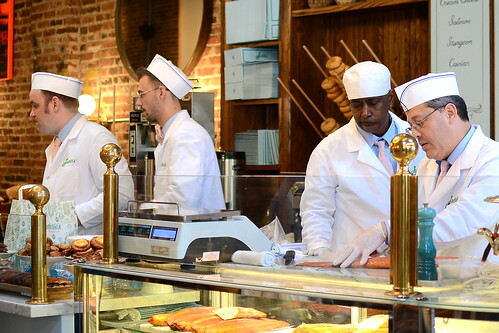 In addition to bagels, the restaurant’s counter is lined with delightful pastries. We shared one of “Melissa’s Sticky Buns,” laminated brioche dough with a brown sugar glaze, to keep the hunger pangs at bay during our wait. It was as sticky as billed. In the same way that I can’t resist a Jewish deli, I can’t resist ordering steak tartar when it’s on the menu. 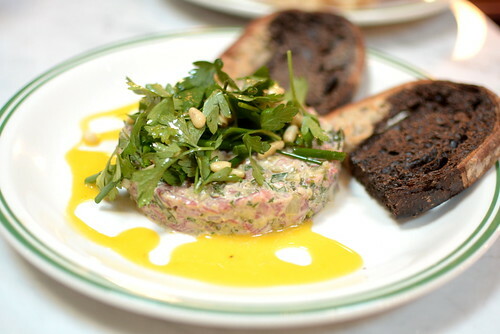 Sadelle’s version, coarsely chopped and punctuated with capers, was straightforward and tasty. 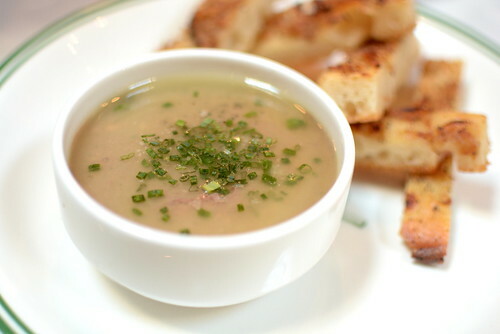 Even better was the chicken liver pate, a generously portioned bowlful of richness. 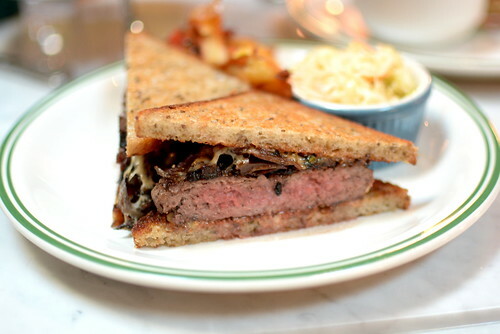 For our main course, The Astronomer and I shared the patty melt, which was served with coleslaw and potatoes. Dry-aged and griddled medium-rare, the patty was awesomely beefy and so, so good. This beautiful sandwich is sadly no longer on the menu. We also shared a black pepper bagel with house salmon served with all the fixings including cream cheese, tomato, cucumber, onion, and capers. The salmon, lightly cured and incredibly silky, seduced with subtlety. 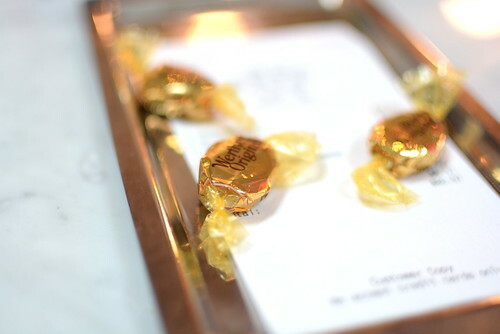 To finish, a few butterscotch candies presented with our check. 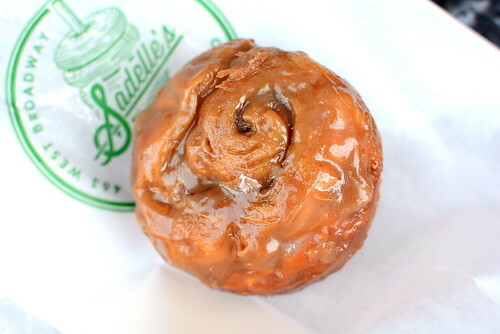 Sadelle’s is solid. 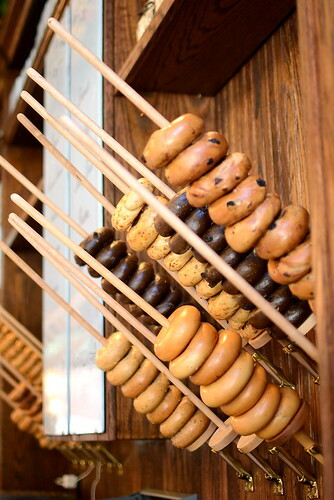 Sweets and the City: Cake, Paletas and more! Ooooooh my gooooood. I looooove Jewish delis and all of that looks mouth-watering and delicious. 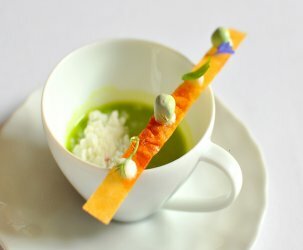 This is going straight to the top of my must visit list next time I’m on the east coast!